These are not your everyday health and wellness workshops! Your group will not roll their eyes in boredom at one of Deb Bixler’s healthy living classes! Deb provides health and wellness workshops for schools, churches, corporations, clubs and individuals. No group is too large or to small! Every event focuses on real actions the guests can take immediately! 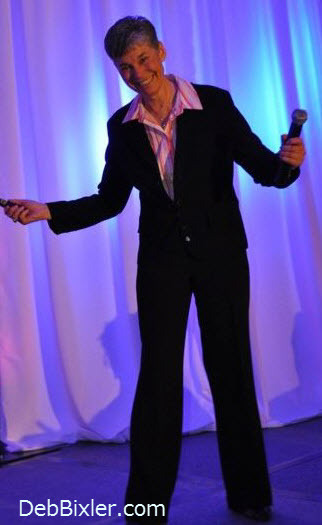 Invite Deb to your school, organization or business and she will bring great fun, as well as healthy living tips, energy and enthusiasm to keep your employees or members on the right side of health. We customize every event to your audience. WOW! 6 Weeks To A New You! Ingredients 101: Natural Ingredients Make Up A Natural Diet. Honey, I Poisoned The Kids! The Jack Rabbit Energy Workshop is a healthy workshop like you have never experienced! 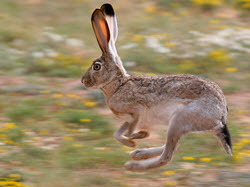 How would you like to have the energy and spring of 12 Jack Rabbits on a Trampoline? Who wouldn’t, right? Are you tired, run down? Is it all you can do to get up every day and go to work? Are the kids running you ragged? Your organization will learn the “8 Secrets To Healthy Living”; how to increase their metabolism and boost their energy levels. At the Jack Rabbit Energy Workshop, your audience will learn the solutions to healthy living and how to overcome the 8 biggest health mistakes most people make. Give your group or employees the gift of health by scheduling an event!